Explore Harvey Majesty windows reviews, prices, ratings and warranty information on their wood clad windows. Harvey is not generally known for their wood windows. The Majesty is a decent middle-of-the-road wood window that will certainly be less expensive than many of the premium wood clad window options out there. The Harvey Majesty Series uses a solid pine interior, along with an aluminum exterior cladding. The window is only available in either a casement or a double hung. The double hung includes tilt in sashes that allow for easier cleaning, a block & tackle balancing system, recessed cam locks, an aluminum sill expander and 5 exterior color options. The Majesty will be ENERGY STAR compliant in all regions of the country with a dual pane low-e glass and argon fills. In terms of Harvey window ratings, the Majesty (with the low-e, argon fills and grids included) will get .30 U-factor, .24 SHGC, .41 VT and a 3.33 R-value. Homeowners can expect the Harvey Majesty replacement window cost to run $60 to $70 per square foot, depending on the options and upgrades you select. 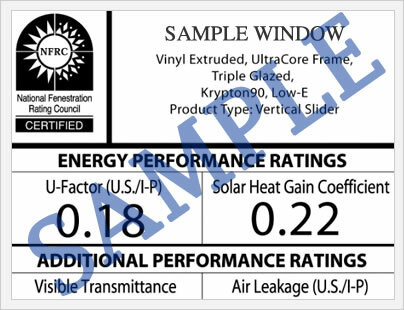 A better glass package upgrade will generate a .28 U-value (heat loss), .27 SHGC (heat gain coefficient), .46 VT (visible transmittance), and a 62 CR (condensation resistance). All in all, the Harvey Majesty has very good numbers for a wood clad window. I was expecting less impressive performance data. The Majesty wood window comes with a 10 year warranty on the wood and the exterior aluminum cladding. This is pretty typical of a wood clad window and consumers should be aware that manufacturers are basically telling them that wood windows will not last as long as fiberglass or vinyl windows. The Majesty includes a 20 year warranty on the insulated glass, although it is prorated so after year 10, the consumer will have to pony up a portion of the replacement cost. 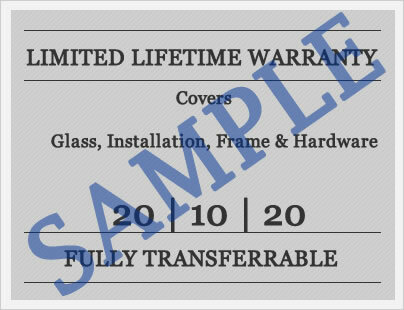 The Harvey warranty contains limitations and exclusions that consumers should read thoroughly before making their purchase. Do you have a question about the Harvey Majesty? Our industry professionals can help you get more information on pricing, upgrades, installation requirements, installation quotes, as well as help you sort through the quotes and companies you are considering for your next window replacement project. Want to add your Harvey Majesty windows reviews? Post it here and help other consumers get the information they need to make the right choice for their home. We've gotten several quotes to replace a bow window using Renewal by Anderson, Harvey Majesty and two quotes from local Sunrise dealers. We prefer the Sunrise, but each dealer 'specializes' in a different Sunrise product. One sells Restorations exclusively and the other sells Sunrise Standard and Essentials. We'd be willing to pay more for the Restorations, but can't find a side-by-side comparison from Sunrise on their different product lines. We also can't tell from the quotes how much is for the product and how much is for installation. Trying to compare prices is like apples to oranges. So I appeal to you for help. Can you send me the manufacturer's price sheet for both the Sunrise Restorations and the Sunrise Standard? Thanks very much for your help. Our window measures approximately 112' x 55". Here are the specs we're interested in. Four section bow window (sections one and four to be Casements), Brazilian Pecan vinyl woodgrain interior and Painters White exterior, Omega-12 glass (double pane; argon filled), Ultra-core polyurethane insulation in sash and master frame, Double insulated seat, Brazilian Pecan laminated Head, Seat, and Jambs, OptiView Screens, 2 7/8" Colonial Madera trim, and Internal single prairie Victorian V-Groove etching. Jim, I don't have a price sheet for Sunrise per se, but feel free to send me your quotes and I'll do my best to give you an unbiased opinion on how the price stacks up. Just out of curiously, how did the Sunrise window costs compare with the Harvey and Renewal bids.